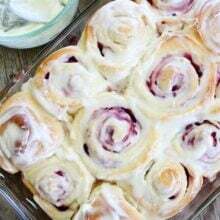 Raspberry Sweet Rolls-soft and sweet yeast rolls filled with raspberries and topped with cream cheese frosting. These sweet rolls are perfect for breakfast or brunch. My dad’s cinnamon rolls are hands down the BEST cinnamon rolls in the universe. I shared my dad’s recipe on our blog years and years ago when my dad was probably the only one reading our blog. The post includes pictures of my dad making cinnamon rolls and the recipe. My dad didn’t care at the time because he didn’t think anyone would actually read the post and see his picture, but now his cinnamon roll recipe is the most popular recipe on our site. My dad gets a little embarrassed that his photo is all over the internet. 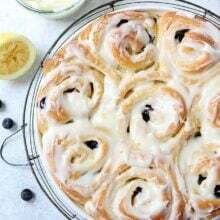 I have thought about taking new pictures for the post, they aren’t the greatest and probably should be updated to show you how amazing the cinnamon rolls are, but I love those memories with my dad in the kitchen. We used my dad’s recipe for the base of the rolls because it is PERFECTION! You will never eat a softer, fluffier, melt in your mouth sweet roll. The dough is like satin. We topped the raspberry sweet rolls with a generous amount of cream cheese frosting. I added a little lemon zest to brighten up the rolls. The raspberry sweet rolls were heavenly! I loved the fruity raspberry filling. And my dad, the cinnamon roll master, approved too! 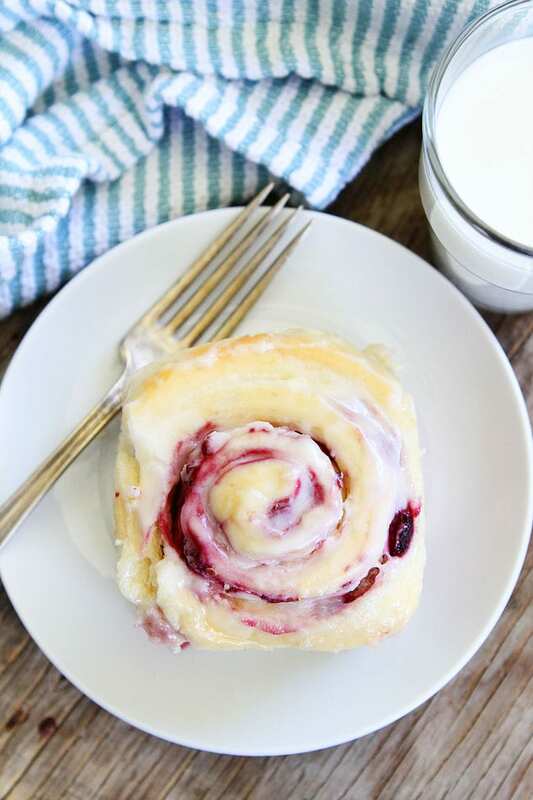 Add these Raspberry Sweet Rolls to your Christmas brunch menu. Your friends and family will love them! And don’t forget to try my dad’s world famous cinnamon rolls! They are the BEST! 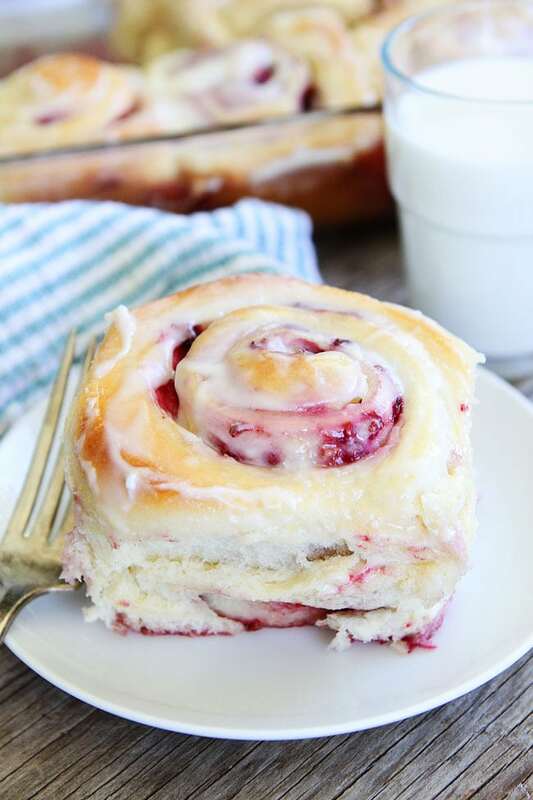 These raspberry sweet rolls with cream cheese frosting are the perfect treat for breakfast or brunch! Add yeast to 1 cup of lukewarm water. Stir with a spoon and set aside for about five minutes. In the bowl of a stand mixer, add shortening, sugar, and salt to hot water and beat for 30 seconds. Let cool to lukewarm temperature. Stir in 2 cups of flour and mix until smooth. Add yeast mixture and mix until well combined. Mix in the beaten eggs. Gradually stir in the remaining flour and mix with the dough hook for about 2 minutes. Remove dough from the bowl and place on a lightly floured counter. Knead by hand, add a little flour if the dough is still sticky. Knead until dough feels satiny and smooth. Put the dough in a greased bowl and cover with a towel. Let rise for 30 minutes or until dough doubles in size. Remove dough from bowl and place on a lightly floured counter. Divide dough in half. With a rolling pin, roll one half of the dough into a rectangular shape. Spread dough evenly with 4 tablespoons of softened butter. Sprinkle dough with 1/4 cup brown sugar. In a medium bowl, carefully stir together the frozen raspberries, granulated sugar, lemon zest, and cornstarch. Sprinkle half of the raspberry mixture over the dough. Gently roll up dough into one long roll. Cut rolls, using a piece of dental floss or thread, about two inches thick. Place rolls into a greased 9X13 baking pan. Place rolls in a warm spot and cover with a towel. Let rolls rise until double in bulk, about an hour. Bake rolls at 350 degrees F for 25-32 minutes or until golden brown on top. The insides should be soft, but not doughy. Remove pans from oven and let cool on a wire rack. While the rolls are cooling, make the frosting. In a medium bowl, combine cream cheese, butter, powdered sugar, and lemon zest. Using electric mixer, beat until smooth. Spread frosting on rolls and serve. OH MY GOSH!!!! I want some right now. These look AHHHMAZZZING! I could so go for a warm one right this very second. I mean come on, a lemon zest to add to that already amazing cream cheese icing… I just can’t control myself! 🙂 LOVE LOVE LOVE AND WANT WANT WANT! I’m a type 2 diabetic. Can I use a sugar substitute for this? I won’t:) I love those photos! Do you have any directions on making these ahead of time? I’d love to make these Christmas morning. They look so good! Roll them up, let them rise, and stick the pans in the fridge. Pull them out in the morning and let them come to room temperature and bake! Enjoy! These look yummy! Have you tried freezing them at any step so that things do not have to be quite so hectic on a brunch morning? Like before rising? What do you think? We haven’t tried freezing them, but you can make them the day before. Roll them up, let them rise, and stick in the fridge. Pull them out in the morning and let them come to room temperature and bake! Pretty sure I could eat the whole pan. Thank you for sharing! My mom and I always made cinnamon rolls together when I was younger. Some of my favorite memories with her. My dad always snuck some dough, that was his favorite part. P.S. I hope you’re enjoying our snow. At my house in Sandy, by the Cottonwood Canyons, I have 22 inches and my 10 year old boy has a snow cave system going in the backyard! My 12 week old Shih-Tzu puppy thinks otherwise of the deep snow otherwise he loves it! These look ah-mazing. I wish I had one with my morning coffee right now! Wow. These are gorgeous. Makes me want to dive into a pile of raspberry rolls!! These look yummy! I am definitely going to give them a try. I like the pics of your shy camera dad…lol….especially when he is with the boys! oh my these look delicious. I bet these would be good with cherries. Oh, I love cherries. lemon and raspberry are a match made in heaven! Oh these look so delicious!! I love your recipes. Is it possible to use butter instead of crisco and still turn out great? I’m also going to look for your dads cinnamon recipe as I haven’t seen it. I love when people make memories to cherish. Thanks, have a beautiful holiday! I haven’t tried butter, but I am sure it would be fine. Enjoy! Love the Parry Rolls. My friends look forward to my giving them as presents. I was wondering…do you think you could cut the rolls and place them directly into thr freezer? Then when you are ready to bake them, take them out and set on counter overnight? I haven’t tried freezing them, but I bet it would work! 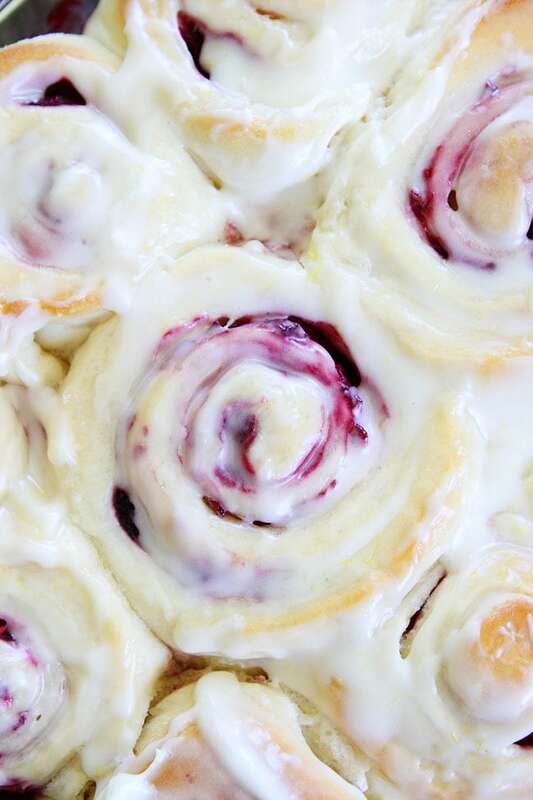 Cinnamon rolls with a raspberry-lemon twist . . . I like the sound of that! Will definitely give these a try. I love the ease of letting them rise ahead of time, and then popping them in the oven in the morning. There is something very wrong with this recipe. I made a half recipe and had to add THREE cups of flour just to be able to turn it out and knead the dough – sticky isn’t the word – it was SOUP!!! It is rising now – I hope I salvaged it, since the rolls are for Christmas morning! We have never halved the recipe. I noted you might need to add more flour, but it shouldn’t have been soupy. yes that is how mine was too–definitely have to add a lot more flour! I made the whole recipe! i halved the recipe also and only needed 4 1/2 cups flour. made the dough in the bread machine. i wonder if you made a mistake and used the full compliment of water or eggs? my dough was PERFECT! The center of these qere totally raw. They are delicious, but the baking time is not correct. Every oven is different, that is how long we bake ours. The timing works for us. If they are browning on the top but not done in the center, cover with foil and bake longer. Mine were inedible! The outsides were good, but all of the middles were completely raw as well. Okay, here is my critique. I made these today. There are things that need to be clarified in this recipe. Thankfully, I am not a novice baker. I did halve the recipe, and it worked just fine. I have no idea why people had the dough turn out soupy. They probably used too much liquid. I only had to add about 2 tablespoons extra flour. I kneaded them with the dough hook on my Kitchen Aid mixer. I didn’t hand knead. There’s no need. Lol A little play on words there. Anyway, I was thinking there’s no way you can put frozen raspberries on the dough, roll it up, and have it raise properly. It’d be too cold. In your photo illustration before they rise, the berries are definitely not frozen. I mixed the berries and other ingredients together and slowly defrosted them in the microwave. I then spread it on the dough over the butter and brown sugar. It looked like a blood bath in my kitchen. No lie. The juice just gooshed out all over as I was rolling it up. Wow! I almost called homicide. I then put them seam side down, which is the proper way to cut the dough. I used a big pizza cutter. That works much better than dental floss. Each cut piece was a doughy, juicy mess. I thought…well, I’ve taken the time to make these, let’s see if they’ll rise. Fortunately, they did. I popped them in the oven at 375°, because putting them in at 425°, then turning the oven to 350° is why some people got raw dough in the middle. You can’t bake sweet rolls like that. They need a consistent temperature. I made the icing and spread it on after they came out of the oven. I let them cool for a bit and just tried one. They turned out moist, not dry at all….no wonder with all that raspberry juice in there. Lol However, they’re lacking something. They’re not super sweet, which is good, but neither are they sweet enough. They also need a boost in flavor. I suggest using some lemon juice in the icing. And maybe use more than a quarter cup of brown sugar to sprinkle on the dough. As well, you need to indicate how big the rectangle should be when rolling it out. Novice bakers would have no idea. I knew because I’ve baked cinnamon rolls, etc., before. It needs to be rolled large enough to get 12 rolls. In summation, please indicate in the recipe whether the berries should be thawed and some of the juice drained off, what size to roll the dough, and I highly suggest you change the temperature to 375°. I’m really glad they turned out as good as they did with the unclear instructions. They should be baked at 375 degrees. The lowering of the oven temp does not work for rolls like this. They come out great at 375 for 20 minutes. Pingback: 20 Sweet Raspberry Treats You’ll Love! I noticed your Dad’s cinnamon rolls call for 7 cups of flour and these call for 9 cups. Is that a typo or are these different than his cinnamon rolls???? It is basically the same recipe. My dad’s original recipe calls for 7 cups or flour, but add more as needed. We always need more so I went ahead and just added the 2 cups to this recipe. Could I use coconut oil in place of shortening? I haven’t tried it. Let me know if it works! I have a bunch of frozen blueberries and peaches. I’m assuming swapping blueberries for the raspberries would work well, but do you think peaches would work? Do you think I would need to adjust anything? These sound delicious! The blueberries would work well, but the peaches might be too juicy? You could try it though! Maybe if you chopped them? I just saw these on Facebook, they would be fun for Valentine’s Day. Thanks! Yes! Perfect for Valentine’s Day! Also found this on FB (thanks for sharing “I am Baker”) and am making these tonight for brinner! Adele…. These were so perfect. I used exact amount if flour…..then rolled out with my hands”patted” and used oil, NO MORE FLOUR,! And then I kept raspberries in the freezes until ready to put on roll. They were fantastic! Those raspberry sweet rolls look absolutely amazing! I. can’t. wait. to. try. these. Thank you for sharing! They look sublime!! Ok, I made these yesterday, they were UNBELIEVABLE !!! The best recipe ever !!! Thank you so much!!! So glad you liked the rolls! Can’t wait to make these! I do hope you will share your Dad’s version too. I would love an awesome Cinnamon roll recipe too! Thanks for sharing! Here is the regular cinnamon rolls recipe: https://www.twopeasandtheirpod.com/recipe-for-cinnamon-rolls/ It’s our favorite! Making these tonight. Wondered if you used whole individually frozen berries or the kind inthe box with sugar and water added. That’s what I have so I guess I will use them and not add more sugar, and drain off the extra water? I used whole berries, no sugar added! Could I use the bread machine to make the dough? They look so yummy. i used my bread machine to [email protected]! I know this is cheating butttttttt…. I’m probably going to attempt these in my Thermomix, is it possible to over knead these? The lukewarm water used for the yeast. Is it one of the cups of water further in the recipe or e there 3 cups of water totally? I had to bake mine about that much longer too. What kind of yeast? Active dry? Love this recipe. I tried it and they turned out wo derful! Thanks for sharing! Do you thaw the raspberries at all before you make the filling? I made them and they took quite awhile to bake and I’m wondering if it had to do with using the frozen berries. They still taste delicious! Thanks for sharing the recipe. I use frozen berries! Every oven is different, remove them when they are golden brown and not doughy in the center. Glad you liked them! I don’t have a stand mixer. Do I just knead it all together by hand instead? Yes, you can knead the dough by hand if you don’t have a mixer. Wow really good I like cinnamon… I want to try this . Thank you so much. Hello love your raspberry cinnamon buns.. Made them this morning for Lunch was easy and I just enjoy making them. Thy were the best and a change from cakes and slice. My friends and family Love them, from now on this what I’m going to bake from now on for friends + others to. Anyway I would like to have the cinnamon buns to please. Hello my is Karen from New Zealand was making your Raspberry buns this morning for Lunch for my friends Family thy just Love them the cream cheese made it, thy were the best thank you. Thy were easy to make and I’m going make them for our Lunch from now on + others. Thank you. I would like to have the cinnamon buns. You really should have a printer version of your recipe. I’m so excited to try these for Valentines day! We do have printer versions of our recipes. Click the button that says Print Recipe underneath the photo on each recipe. Perfection! Made them last night for Valentine’s day breakfast. Took a little longer for mine to rise, but it’s freezing outside right now. Not sure where the complaints of it being soupy came from, my dough was forming before I even added the last 2 cups of flour. Will definitely try your cinnamon rolls next! Wow these look fab! I’m a fan of cinnamon rolls and raspberries(or any other kind of berry for that matter), so I can’t wait to try these! I was wondering if you could substitute splenda for the sugar? I come from a family of diabetics and anywhere you can cut back on the sugar helps. Otherwise these look great!!! These are really wonderful, thank you for sharing. I was going to share some with neighbors so we don’t eat them all…but my kids said no! I added a few tablespoons of raspberry preserves to the frosting….Oh, perfection! Delicious! And soft. OMGoodness they are so soft! I have been looking for a soft sweet roll dough and this may be it for us. We’ll try the Parry rolls next and if that’s also a win then we’ve found what we’ve been looking for. Wonderful recipe……I have another recipe softer but these are fantastic and I would guess freeze well! Any suggestions on how to make them by hand without a stand mixer?? Why is it so hard to find the “Print” button? It is a big green button that says PRINT RECIPE right below the photo on the recipe. It should stand out! I made these for my family on Valentine’s Day and we LOVED how they turned out! This is the best sweet roll recipe I have ever made. I think it will be my go-to dough from now on. Thanks for sharing! Whats the storage time for these please? Air tight container in the fridge or kitchen bench for how long? If they last that long that is haha! I make similar cinnamon rolls and freeze and then heated for 30-40 seconds in microwave and these would be just as good no doubt!! A lively recipe! I just made!! I’am trying to print this recipe on Whi Fi and also over to my kindle and it will not let me??? The print button is below the photo on the recipe form. Tried to make these today but think I did something wrong. When you’re rolling them up do you roll from the short end of the rectangle or the long end? Perfection!! Loved the recipe!! It’s a keeper for sure. I “roll” my dough out with oil, no more flour……added cinnamon to pressed out dough and made sure the raspberries stayed frozen until mixed with cornstarch and zest. Remember…..don’t dump out of pan!! Love the cream cheese frosting with lemon zest!! Perfection!! Lovely! I would bet these freeze beautifully!! Hi when you cut the rolls do you put them in the pan sideways or do you place them the way they were cut? Have you ever tried them with cranberries? When you mentioned Christmas cranberries came to mind! 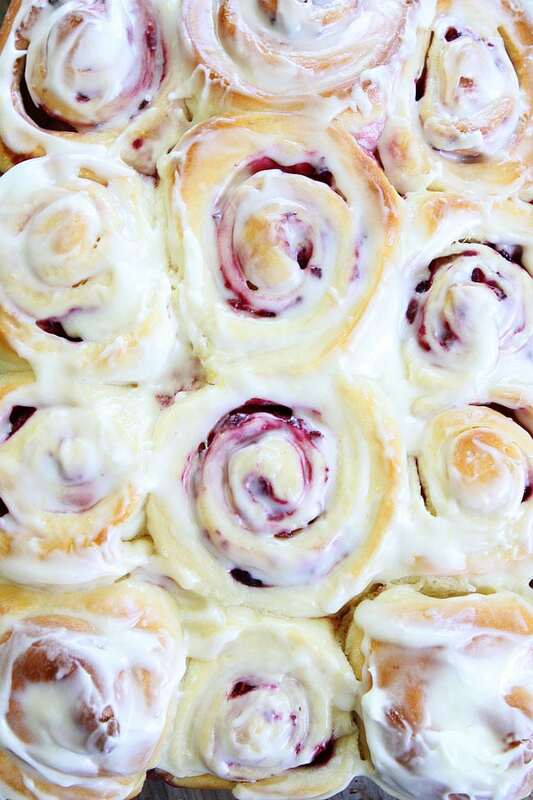 Cranberry sweet rolls. Just made these this weekend. Holy heavenly sweet rolls!!!! I can cook, but I”m not much of a baker and had never used yeast but they turned absolutely scrumptious!!!!! I tried this recipe today and can’t believe the recipe calls for 9 cups of flour. I followed the recipe to a T and it did not turn out good at all, ended up throwing them all away!! Just made these! OMH!!! Sooooo good! Glad you liked the rolls! How long approximately do you need to knead the dough? I have never made rolls before and would love to try. Do you think I could do this with strawberries? My kids love strawberries :). Thank you. Strawberries have more water in them than raspberries so the rolls might get a little soggy. I haven’t tried it though! Let me know if it works! I have two questions! First, do you use a larger pan than the 9 X 13 because the rolls filled mine so much that they were crowded. Second, do you bake them longer than the 15 total minutes, 10 at 425 and 6 at 350? I am now up to 25 total and still have doughy rolls. I just can’t wait to start eating them! Good morning. These look amazing. I don’t see where the raspberries are ever thawed out. Do you keep them frozen? Thanks for any help you can give me. LOVE what I see so you have gained a new faithful follower, the Rasberry Sweet Rolls. Yum…. Want to try these for Easter! Just wondered – so there are 2 13 x 9″ pans you are using, 1/2 the dough in each pan? Thanks! Yes, after you cut the dough into rolls, you place them in two pans. In Step 5, you say to roll half of the dough into a rectanglular shape. What size of a rectangle?? I can’t believe nobody else asked this question. Maybe they’re all used to making rolls. Could these be made a night in advanced and cooked the next day? 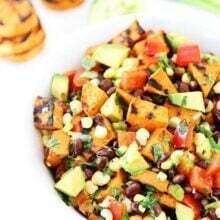 Hi, thank you so much for sharing the great recipe. It looks scrumptious and yummy. Gonna try to make this but need to know what is the purpose of cornstarch? Can I omit it ? It may be helpful to include the dimensions or thickness of the rectangle the dough should be rolled to. This probably accounts for the negative underbaked comments bc they rolled their dough too thick,because in both recipes you only say roll it into a rectangle. This recipe looks delicious. I wish I could make it but there are so many ads on the recipe page that it keeps freezing and I can’t print it. 10 minutes on 425° then down to 350° for FIVE TO SEVEN MINUTES?!? Is that a typo? Because if it’s not, nobody has ever made these sweet rolls with any amount of success if they weren’t baked in a convection oven or a wood fired rocket stove. I just made these rolast and had to bake an additional 15 minutes at 350 as they were not done. I live in UT not sure if the elevation had anything to do with the cookies time. Can’t wait to try them. I just made these and had to bake an additional 15 minutes at 350 as they were not done after the 10 minutes at 425 and 7 minutes at 350. I live in UT not sure if the elevation had anything to do with the cook time. Can’t wait to try them. Is it really a Tablespoon of salt??? Sounds like a lit? Would it be possible to cook down the raspberries and use a fine siv (sp?) to get rid of the seeds out of them before adding them to the filling? 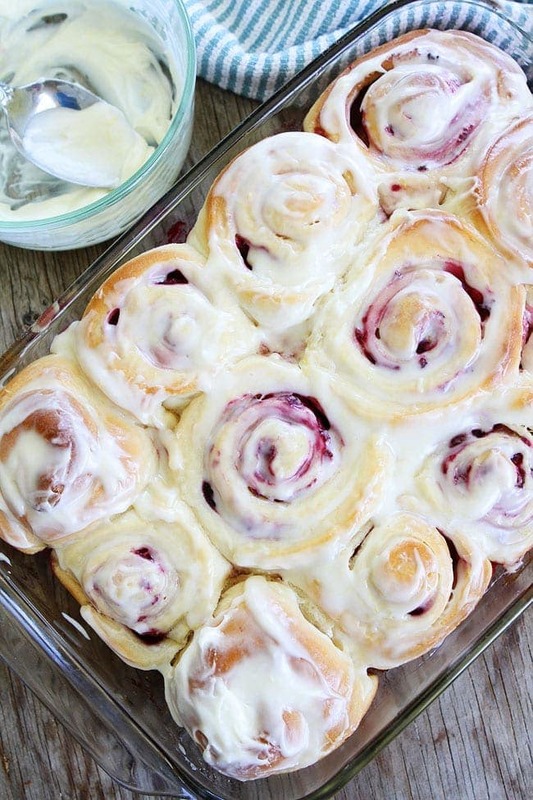 Those raspberry sweet rolls looks amazing! love this..Thanks for sharing..
Hi, I’m looking at the baking time total of 17 minutes is that enough? It takes ours 17 minutes, but ovens vary, so it could be 17-20 minutes. Watch them at 17 and if they aren’t done yet, leave them in until they are slightly golden brown. Enjoy! Do I have to use a stand mixer to make it work properly or can I use a hand mixer until it’s too thick and then just knead it by hand? Thank you! Do your rolls stay moist after the next day? Yes, we like to reheat in the microwave. Sadly, these also came out raw in the middle for me. I halved the recipe with no issue. I’m thinking those that had soup must not have halved the yeast starter water. I followed the directions precisely. They looked amazing coming out of the oven, but as we tore into them..goop. I’ve put foil over them and popped them back in for another 10-15 minutes. The flavor is delicious. I think I need it just a tad more sweet to add a little more delectability. Thank you for sharing your recipe! I made these using 1 cup hot water and 7 cups flour (plus the 1 cup lukewarm yeast water). I mixed the dough and then kneaded it using the KitchenAid mixer, and the dough was perfect!!! So good! I made this recipe twice and both times they were still doughy in the middle. I tried fast rising yeast the first time and the regular rising one the next time. The second faired better. Looking at your photos both times turned out humongous which leaves me to believe the yeast packages might be different for US vs Canada. Could you please let me know what yeast brand you used and what if it was fast risI got or regular ? Exact ly what size rectangle should you roll the dough into?.. I made these for the county fair, and they got a blue ribbon and grand reserve. Thanks for making this awesome recipe so widely available! Will this recipe make 2-9×13 pans or should I double to fill two pans? It will make enough for two pans. Enjoy! I would like to know how much fresh yeast is equivalent to this dry yeast quantities. and what is “shortening”?, last question: how many grams would it be a cup for you? cups come in different sizes ; ) thanks. Made these for my employees and they were gone, gone, gone!!! Thanks for sharing! I bet these would be great with using blue berries instead of the raspberries too! Or youccould just buy frozen bread dough save yourself a ton of trouble. Have you tried these with gluten free flour. I think they look amazing. Would the gluten free flour replace regular flour 1 cup for one cup. Thanks. Made these today, OMG let me tell you how wonderful these are. Love the lemon and raspberry together. Did double the amount of frosting, we like the frosting on them. Thank you for sharing this recipe, looking forward to making these again as cinnamon rolls. Wow, they look awesome and would be great to serve for Christmas morning. Can these be made ahead of time and frozen? So I made these this morning the pan was completely full with raspberry juice. The dough was ruined by it. What is the best way to avoid this in the future? Just curious why you don’t use milk?? I wanted to ask you if you can substitute the raspberry for strawberries for example, in my home country is very difficult to find raspberry. We always have cinnamon rolls for Christmas Day breakfast. This looks like a fun way to change up a family tradition! Hi, I have 2 questions about this recipe. First, can I use something else in place of cream cheese, our family is not a fan of it. And second, can I use a fresh raspberry jam for the filling? Thank you! Yes, you can do a regular frosting, no cream cheese. You can also use raspberry jam. Enjoy! These look scrumptious! I wish I was eating one right now. I agree with you they do look festive and red for Christmas, a great idea for Christmas morning. I was wondering about them freezing but then I saw your comment about making them the day before and keeping them in the fridge to bake the next morning, so I’m going to try that. Thank you for such a beautiful recipe. Is there a way I can print the recipe? Looks delicious!! Thanks! Yes, there is a print button in the recipe box. Click on that and it will pull up a printer friendly version. Enjoy! I don’t have a mixer with a doughnut hook, just a regular hand mixer? Any tips for making the dough that way? If you don’t have a dough hook you can knead the dough by hand. You will get a good workout. Knead until the dough is satiny and smooth. What type of yeast is best to use when making these? My dad uses active dry yeast, but I’ve had luck with instant too! I am wondering if I should thaw the berries first- I saw the comments about the interior being undercooked and thought that might help. I would also be inclined to drain any juice. What are your thoughts? I use frozen berries so they don’t get too mushy or bleed. If you do thaw them, for sure drain them. Oven times vary, so if your centers aren’t done, leave them in a little longer. If they outsides are getting brown too quickly and the centers aren’t done, you can lower the oven temperature too. Enjoy! I so love your story! My kids and I share the same memories and three of them are using my recipe in their homes. When I was 16 my Home Ec (sp) teacher taught us how to make a no kneed bread recipe which I use also to make caramel cinnamon rolls. I will be 50 years old soon and it makes me so happy when my grown children get a pat on the back for how good their homemade cinnamon rolls are. This year was going to be the first year I did not make them because I didn’t think any kids were coming home for Christmas besides my daughter who lives here and we’re all on diets but last night my 24 year old daughter Jasmin walked in the door clear from Mississippi 2 Idaho and she said that we must make my famous caramel cinnamon rolls while she’s home for Christmas. My heart was broke before she came because my 21 year old son received a traumatic brain injury in February and she said that we must make my famous car mode cinnamon rolls while she’s home for Christmas. With all of the heartache this year, she totally make me feel so happy inside because my simple recipe like your father’s was most special because you did it together and have memories and the smell brings back so many memories. Thank you so much for sharing your story. It put a smile on my face. Merry Christmas! I love raspberry. These sound amazing. I will give this link to my husband so he can whip them up for me. He loves to cook. First “roll” baking experience for me and I chose these! They are…. edible. I’m not sure what went wrong. Aside from my oven which is apparently not working properly, the rolls went together beautifully and looked about what I’d expect them to look like. THe dough didn’t rise super well, and I wonder if that can cause doughy-ness? The buns taste delicious but are super dense and heavy. And hard to cut! Does that make sense? Any of you experienced bakers want to chime in with your experience and wisdom? Yeast was fresh out of package and I followed all directions. The only thing is that our house is cool? Should an Albertan put their pan in the oven at a super low temp to let them rise? Also, my husband took them out of the oven when the timer went off. By the time I came upstairs to check on them it was clear that they weren’t fully cooked, so they went back in again for another 10 minutes. Basically I’m just wondering if all of this or some of this would contribute to their heaviness and density? I would LOVE to make these again and I’d also like to try the cinnamon version, but not if they will always be this heavy. Thanks in advance for the input! do you put raspberries in frozen whole with sugar and lemon? I made this recipe but used leftover apricot and cherry filling leftover from Christmas cookies. It makes a lot so I made some cinnamon rolls with it too. I had to add about a cup more flour to knead it as it was very sticky. The end result was perfect! I love the way the dough is light and fluffy. (I always raise the dough in my oven with a bowl of hot water to aid the yeast.) This recipe is a keeper. Thank you for sharing! Glad you liked the recipe! Apricot and cherry sounds divine! Can I use fresh raspberries and have them turn out similar? Also how do you store already made rolls? Thanks! How many rolls does the recipe make? And what size pan do I need? See the recipe, it makes 24-30 rolls and you need 9×13 pans. the thing is…could you please give me the right measures in grams instead of tablespoons or cups? Look online for a kitchen measure converter…they are all over the internet. This looks amazing and can’t wait to try. Just one question. Can I use rapid active yeast instead of the regular one? Made these exactly as written and they were perfect! Absolutely delicious – first time making sweet rolls and loved them. I haven’t tried using fresh raspberries, but I am sure they will work. Enjoy! Do you think I could use already made dough? Like pizza dough you buy in a store? I”ve never made dough before and not sure i would be successful at it. Why do some recipes, like this one, require kneading by hand when there is a stand mixer with the hook attachment? Could I make these rolls a day ahead. I am nit great with morning and my kids tend to want to eat as soon as they are up. I think there’s a mistake in the above recipe. I added 1 tablespoon of salt as listed and it was inedible and didn’t rise – surely you mean a teaspoon or less? The recipe is correct. We always use 1 tablespoon, it makes a lot of rolls. Was your yeast expired? Water too warm? If anyone wants to use their bread machine to make the dough – it works perfectly for this recipe. So I used my bread machine for the dough and did the final rise in the morning. They turned out perfect. You have made no mention of the size the dough should be rolled out to even though many people have asked! Could you please let us know?? About 28 inches long and about 15 inches wide. I hope that helps! Enjoy! Am I the only person who got dough that was inedible and didn’t rise owing to a whole tablespoon of salt?? Surely it’s a teaspoon at most?? I would recommend trying a different recipe! An Easter disaster! THANKYOU! These rolls were spectacular. I made these for Easter morning breakfast on a last minute whim around 3:30 in the am. I had some raspberries in my freezer that i got at the farmers market last season and had Exactly 3 1/2 cups. It was meant to be. My mother in law and sil were spending the weekend and were very impressed. 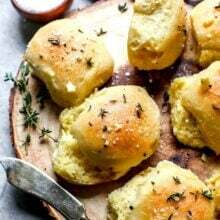 I made overnight sausage casseroles (my moms recipe) and these rolls stole the show.. it was a perfect easter morning breakfast. Dont let negative reviews sway you from trying these. I did bake at 375 for 20 min then covered with foil and baked about 5 min more just know how my oven bakes First time I’ve commented but just couldnt not. I have made and love several recipes on your blog. Thanks so much. Yay! So happy you loved the rolls. They are our favorite! Hello there! I’v made your father cinamon roll recipe and it came out perfectly! I noticed there is no sugar in the yeast and water mixture, like tje cinamon recipe. Is this true? There is no need in the sugar in this recipe? You can add a pinch of sugar if you want. It will help get the yeast going. 1. The filling overflowed, probably because of how the dough rose. 2. They took way longer than 20 minutes to bake. I might make them again but I’d think about using premade dough (or crescent rolls). These are by far the hands down favorite around here. We all love raspberry and it is a nice change from the more traditional cinnamon roll. I half the recipe to get one pan and it works well. Thanks for posting this. Love, love, love your stuff. I made the caprese garlic bread and almost passed out!!! I might try to make the dough a little sweeter in the future to balance that lovely tartness of the raspberries. The recipe worked great for me, and after cooking them at 350F for ~35minutes, they had soft, pillowy centers and a lovely touch of golden edges. My favorite was probably how they look like a bouquet of roses when they came out–I used a small pan and packed them in a 3×3. Thank you for the recipe, I will definitely recommend. I have not made this recipe, but ive made many, many cinn rolls. On the doughy problem after baking, are you using pyrex or foil pans? Foil pans keep the rolls more moist( for some reason), but the trick is to place the foil pan on a cookie sheet to bake the rolls. The rolls are baked to perfection. I bake mine in a convection oven at 315 conv. For 22 min. Happy baking! Can I use all purpose flour. Can these be made with butter instead of shortening? Thanks. Was enjoyed by all. I need to make snacks for school for my grandkids and I am making your Dad’s this weekend. Thank you. The dough is the same for my cinnamon rolls, which I make in my bread machine. I am always looking for things to do with the excess. Click the print button in the recipe. I just tried it and it worked for me! Glad you like the recipe! Active dry and you can add a pinch of sugar if you wish. These were a huge hit last Christmas so I’m making them again! Love them!!!! I made your Dad’s cinnamon rolls for the first time this Christmas and they are the best I have ever had. My family can’t stop eating them. DELICIOUS! I’ve made cinnamon rolls for years. This recipe is truly the best. Rolls were soft and delicious. I made half the dough into your raspberry and half into cinnamon caramel pecan. Family couldn’t pick a favorite. Thanks so much for sharing this recipe. These are the best and easy to make! So happy you enjoyed the sweet rolls. Just made these last night and they turned out PERFECT. I thawed raspberries first per another baker’s suggestion and while it was messy, it still turned out fine. Baked at 375 for 20 mins (gas oven) and they were just right. Making Dads famous cinnamon rolls now! These rolls are amazing!!! I used bread flour and added a little extra cornstarch! These are Amazing !! Very tasty, I wanted something different to make for my ministry, Greatful Hearts. which is where you can gather for fellowship and have coffee & snack before Sunday School. I know these will go very quickly. .
Hi – I really want to make these for a kid’s tea party! Do you have any tips on how to make these into miniature rolls? 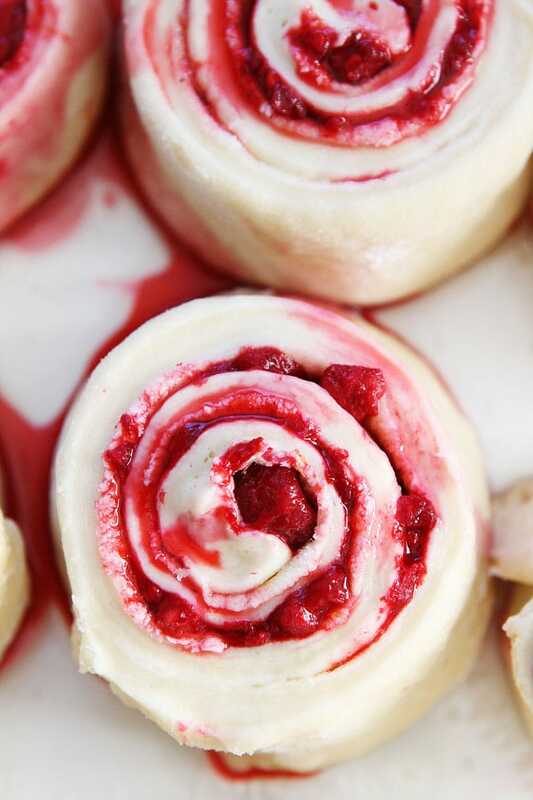 These Raspberry Rolls are AMAZING!! My family and friends no longer ask for Cinnamon Rolls. And as for the dough? I have retired my old recipe and replaced it with this one. Incredible!! I have been making these delicious cinnamon rolls for about 3 years now. It is hands down the BEST cinnamon roll recipe on earth. I will make no orher’ Thank ya u so very much for sharing your recipe! Yes, cover and keep in the fridge. In the morning, remove from fridge and let come to room temperature before baking. Enjoy! These are soooo good! Not hard to make. I made these amazing cinnamon rolls. The only different thing I did. I used cherries instead of raspberries. They were the best cinnamon rolls I have ever had. I will make again. I have made these but I did not have to use 9 cups of flour. I have also tries small cut bup apple with cinnamon, they are good in the morning with a cup of java. Thanks for the ideas.. So good. 1 TBSP salt sounds like too much salt. Am I wrong? It makes a lot of sweet rolls. 1 tablespoon is correct. Have you ever made the dough in a bread machine? If so any changes? I haven’t, but I know some of our readers have and had success. Can these be baked on a sheet pan instead of a 13×9? Can you use fresh raspberries? These look delicious! i can’t thank you enough for sharing this recipe. If I could give it more than five stars I would. I have been making this recipe for a little over a year in MASS quantities. I had found another recipe for raspberry rolls that was not quite as good and came across this one. AH-MAZ-ING!. I was recently fundraising for a trip to England with my daughter and people special ordered these and the cinnamon rolls by the dozen. I also learned that i could make them up the night before and let the rolls rise in my fridge overnight and then i could just pop them in the oven to bake in the morning. The only tweak I gave the recipe was an extra rise. I found them to be less dense. This recipe is FAB!! Thanks! My dough was perfect and rolled out nicely. However, after everything was cut and had risen, the rolls got super soupy and soggy with lots of raspberry syrup at the bottom. Currently waiting to see how the batch turns out after dabbing everything with a few paper towels. I will totally retry this and maybe thaw and press my raspberries first to gauge the moisture. Any advice on how to avoid soggy rolls from the frozen raspberries? Thanks for the recipe. 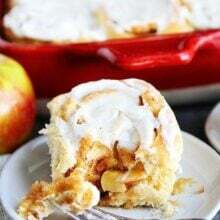 If you are making these ahead of time would you do the initial rise and then put them in the fridge over night and do the second rise in the morning? That’s what most overnight recipes call for but it is unclear here. Thank you! So excited to try these rolls! I cannot have cheese . Is there anything I can substitute for the chees . So I’ve made these twice now and both times they have come out dense and heavy. I’m sure it’s my fault and I’m somehow doing something wrong. Can someone tell me how to use a bread machine to make the dough? I’m thinking maybe I need to eliminate *me* from the mixing/kneading of the dough, but I’m not quite sure how to use the bread machine for this. TIA!